A new memorial fund will honour internationally renowned academic Professor Mark Joshi’s passion for teaching and research. 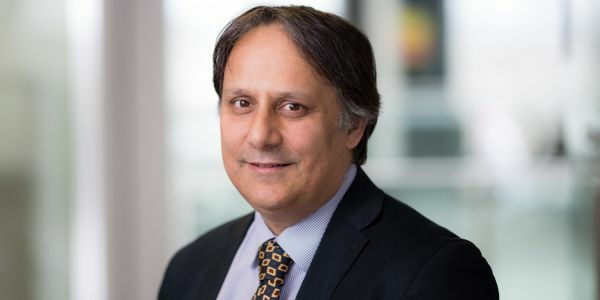 The University of Melbourne has been saddened by the sudden death of Professor Joshi, who died in October 2017. Professor Joshi joined the Centre for Actuarial Studies at the Faculty of Business and Economics in 2005, where he taught the theory and application of financial mathematics, as well as supervising a total of 8 PhD students. He is fondly remembered by former students and colleagues as an inspiring teacher and mentor, and as an international leader in the field of financial mathematics. To honour his contributions and legacy, we are encouraging people to donate towards a memorial fund in his name. Away from work, Professor Joshi was a loving father to five boys, Alastair, Douglas, Colin, Richard and Stuart. His wife Jane said she hopes the Mark Joshi Memorial Fund inspires excellence in financial mathematics. I hope the fund reflects the hallmarks of Mark’s approach to learning: originality, combined with the enthusiastic pursuit and communication of new knowledge at a deep level. The founding of this fund is very special to our family - not least of all for Mark’s sons growing up - knowing that their father’s memory will continue in association with what was so very important to him in life: education and inspiring the next generation.